After a recent series of deadly attacks in Baghdad, Iraqi medical staff faced one of their greatest triage challenges. 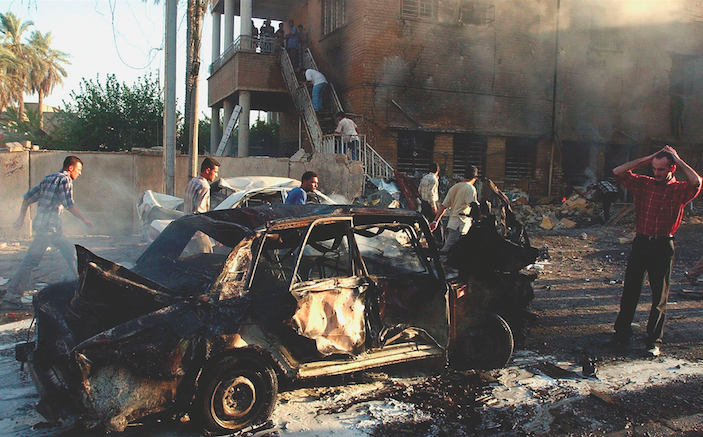 It was one of the bloodiest weeks of the war in Baghdad, Samawa, and Diwaniya, when terrorist attacks with bombed cars and explosive belts left dozens of victims dead or severely wounded. The bombed areas were the most crowded regions in the three cities. All ages were targeted in these attacks – even newborn babies! The casualties were evacuated to the nearest hospital, the four main teaching hospitals in Baghdad, and the main teaching hospitals in Diwaniya and Samawa. The first problem arose with patient transfer. When patients had injuries that required transfer to a higher level of care, accompanying ‘friends’ never waited for ambulance transfer – they scooped up and ran, using cars or carts instead for transport! The second problem was that in each of these hospital EDs, at least 20-25 people accompanied each patient, whether the patient was dead or alive. With each victim, the accompanying ‘visitors’ displayed their guns and were very agitated and nervous, shouting and calling everybody from the staff to see their patients. Before we knew it, the visitors were playing the role of triage leader! ED nurses and doctors were working under pressure with fear of violence against themselves. Even hospital security could not control the situation. After negotiations and discussion with people accompanying the casualties, the accompanying visitors calmed down and let the doctors and nurses work as usual. Despite our vast ED experience in severe trauma, we were still extremely challenged by such pressure and threats of violence. Unfortunately, due to violence against medical staff particularly within EDs, we are losing many of our colleagues who prefer to immigrate and work outside of Iraq. We learned through this just how difficult triage can be to implement in a terrorism scenario. We also learned that sometimes you have to let “others” help with triage in order to save your own life, and protect the lives of your staff. Indeed it is a tough situation we are no used to in our “western ” countries. Yes this is a very difficult situation — when the injured are accompanied by groups of men with weapons demanding treatment for their injured colleague or relative. What is the Risk of VTE On a Long Haul Flight?